Craving a crunchy snack? 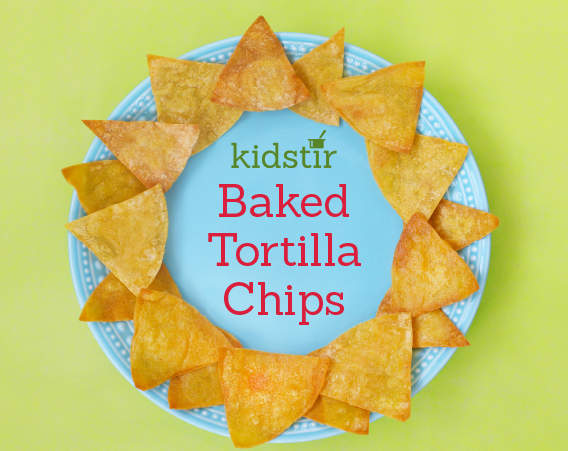 Learn how to make your very own tortilla chips with this easy recipe. 1. Preheat the oven to 350*. Use a pizza cutter or kitchen scissors to cut each tortilla into triangles. 2. Spread the triangles on a baking sheet in a single layer. Put the olive oil into a little bowl. Dip the brush in the oil, then paint on both sides of the tortillas. 3. A grown-up can help bake the chips for 4 minutes. Remove the pan from the oven and turn the chips with the tongs. Bake for 5 more minutes, or until light brown. 4. Sprinkle the tortilla chips with salt and serve.